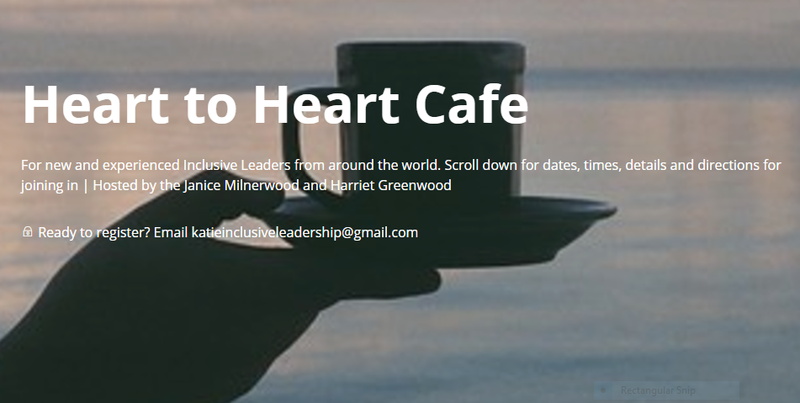 Ten Inclusive Leaders aged 0 to 75 gathered together at our monthly on-line Heart to Heart Cafe for compassionate conversations about our interconnected inclusion and diversity challenges and celebrations. 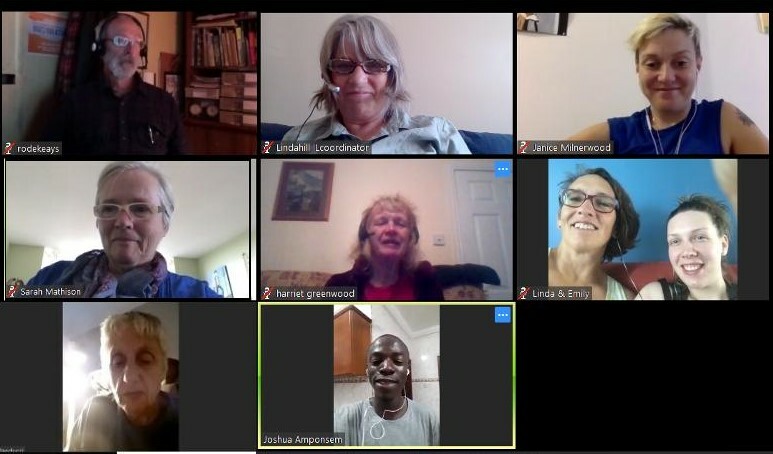 We connected across miles and time zones from BC, Alberta, Ontario, Quebec, England and Ghana. 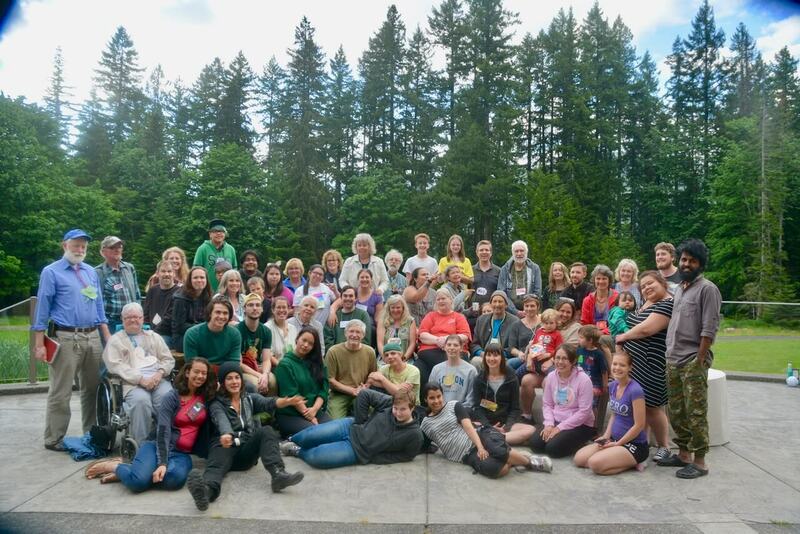 By listening with open minds and open hearts we supported and inspired each other in the diverse ways we are living, learning and leading in our communities. We invite you to join us online soon! As the world becomes a global village, the Inclusive Leadership Co-operative is growing into an interconnected international community. And now, anyone who has access to a computer and the internet can participate in our international community of local leaders who are changing the world from the inside out by participating in online courses, practice groups, and heart to heart gatherings. We invite you to join us online by visiting our Inclusive Leadership Co-operative website and our Inclusive Leadership for our Global Village online course and practice-group site. Are you new to Inclusive Leadership? Sign up today for our 8 week guided quest to Discover Your Inclusive Leadership Potential. Self paced plus 2 optional live video meetings – about 3 hours per week beginning October 3, 2017. Are you familiar with Inclusive Leadership? Connect across time zones and space with other Inclusive Leaders from around the world. Sign up today for our 10 week Inclusive Leadership Practice Group, Thursdays 8 am to 10 am Pacific Time starting this week – September 28, 2017. Are you an Inclusive Leader who wants to connect every so often across time zones and distance with other Inclusive Leaders? Drop in to one of our monthly Online Heart to Heart Cafes for compassionate conversation and heart to heart support. This entry was posted in Inclusive Leader Campaign, Inclusive Leaders in Action, Networking on September 25, 2017 by lindadianahill.